The first thing I had to do as soon as Totoro arrived was to let him roam in the garden, after all he is a forest spirit/troll. He looks so fetching in amongst the greenery, stopping to smell the flowers. 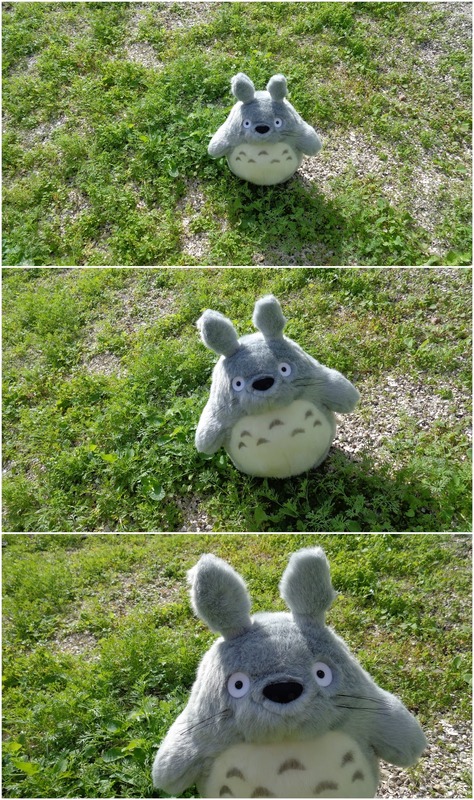 Totoro explores the whole garden including the very overgrown parts! Everyone needs an adorable monster of a neighbour.